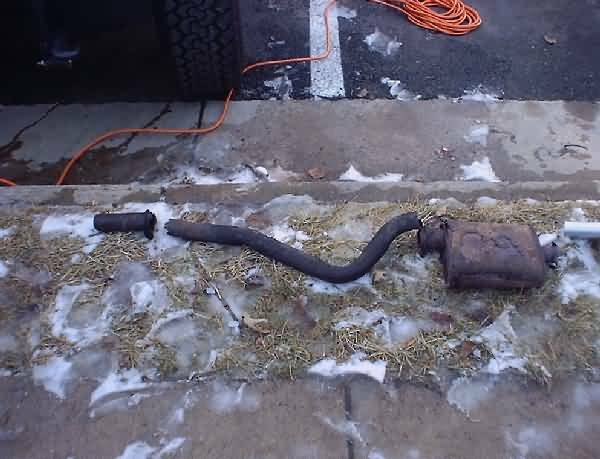 For some time now, my CJ's exhaust system had been rusted through. It had gotten so bad that new Rancho shock in the rear was black from the smoke that it took on a daily basis. Virginia's state inspection finally convinced me to replace it (more accurately, the rejection sticker did the job). Here are the steps I went through to install my new exhaust system (including audio of the finished product). I had thought about using new stainless steel setup, but I could never get an accurate description of the sound that it would produce. I decided to make recordings of the before and after sounds so that everyone else could check them out. I used an IBM thinkpad's built-in microphone, and sat the laptop next to the driver's side rear tire. I you can send in recordings of your exhaust, please forward them to the message board. This is the original system. Although it sounds beefy, it was really about as loud as not having a muffler at all. 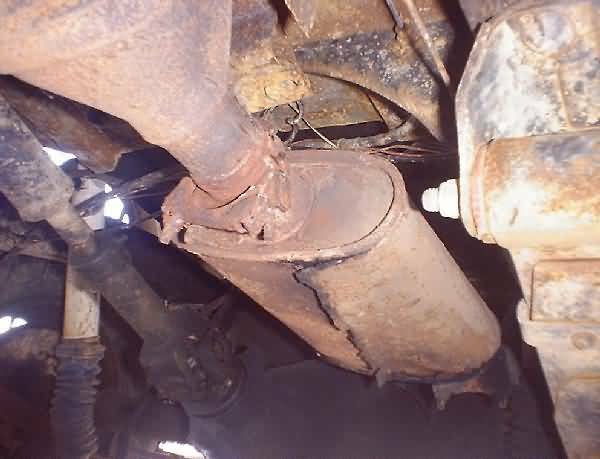 You can definitely tell the difference between the two mufflers. Now, I can carry on a conversation with my passengers. This is my stock muffler, you can see that rust had rotted it all the way through. The best tool you can use in this upgrade is by far a grinder. Using the grinder, I began by cutting off all the exhaust clamps. They were far too rusted to even think of wrenching them off. Last edited by TerryMason; 07-07-2012 at 09:08 PM. After getting all the clamps off, I discovered that I still couldn't pull the muffler off. 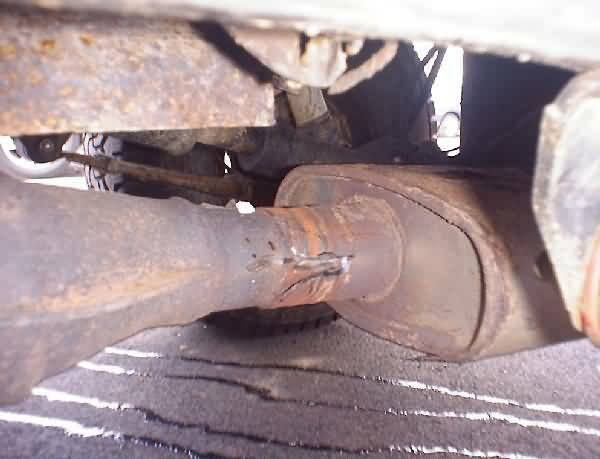 I used my grinder to cut a line in the muffler (see the picture) making sure not to cut through the pipe from the catalytic converter. 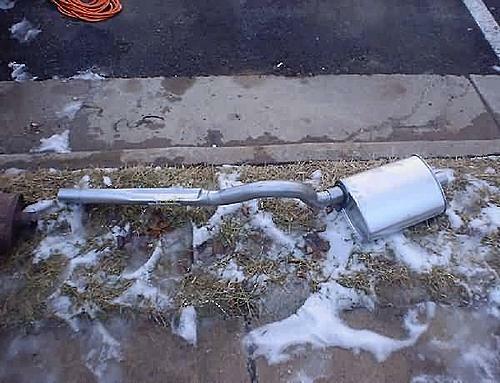 Then, using an old screwdriver and a hammer, I peeled back the old muffler like a banana. This process ended up working nicely. After the old system is out, you should assemble the new system on the ground, and finger tighten the blots. Then put the entire system in place and tighten everything up. It sure is nice to have that nice shinny tail pipe again! 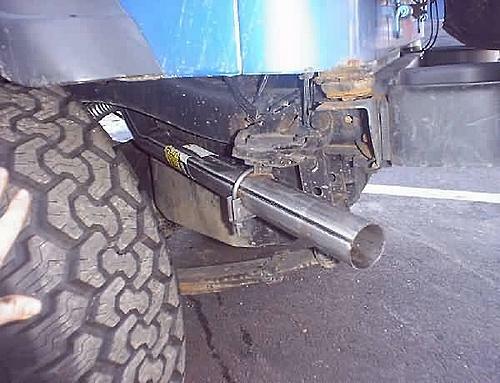 I need to replace the muffler on my jeep aswell. '92 sahara. I notice tha your Walker mufflers tail pipe is more of a staight extention at the end where my existing muffler is more of a turn down. My personnal pref. is the more straight like your pics. 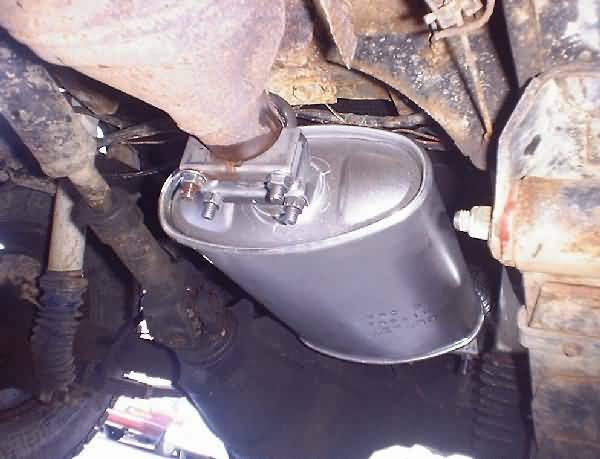 Will I need to specify this when I purchase my new muffler or will I have a choice?I am new to this forum, but not to jeeps. I really like what you're doing here!! Got any stickers?? Thanks for your help.. Are you in Southern Va.? or Northern? Just lookin for locals that share this obsession. Can this exhaust DIY can be applied to all exhaust brands? (i.e walker, gibson) Sorry for a noob question just want to make sure before making my first move. Thanks. Last edited by TerryMason; 10-02-2009 at 08:03 AM. yeah, there may be some slight differences between brands, but the concepts are pretty much the same - the muffler will fit "inline" with the exhaust pipes. The hardest part was fighting the rust to get everything off the Jeep. Mine got some tiny rust spots. I'll try to deal with them in a while. Thanks man! I did it a little differently, The TJ exhaust has a flange on the muffler. I used a tubing cutter and cut the flange and about 3 inches of pipe. I bought a Thrush turbo muffler and a downspout from NAPA (because I LIKE to pay 15% more for parts) and used muffler clamps on the connections. Then I slid a peice of chain under the rear clamp and an "S" hook to the other end and hung it off the origional muffler hanger bracket. The reason I did it this way was because when I put the long-arm kit under the Jeep, the exhaust hits hard on the muffler and on the tail pipe. I have always run Magnaflows,course that was on Hemi trucks with single in duels out. Quite and no interior noise untill you get on it than SWEET! !